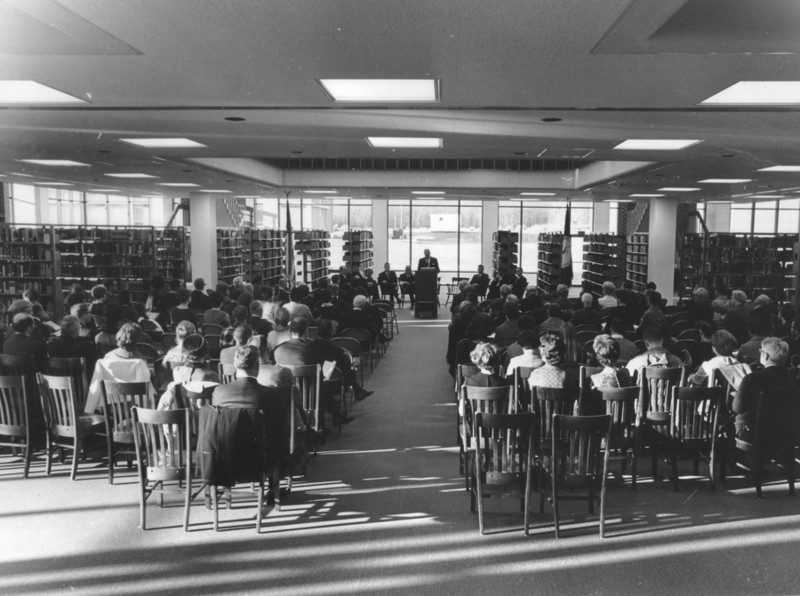 View of the Fenwick Library Dedication ceremony, of December 15, 1967 at Fairfax, Virginia. Ceremony is taking place in the newly built library's first-level book stacks section. Speaker appears to be George Mason College Chancellor, Lorin A. Thompson. Citation: George Mason University , “Fenwick Library Dedication, December 15, 1967 ,” A History of George Mason University, accessed April 21, 2019, http://ahistoryofmason.gmu.edu/items/show/340.